Want a quick and easy dinner recipe that comes together in under 20 minutes? 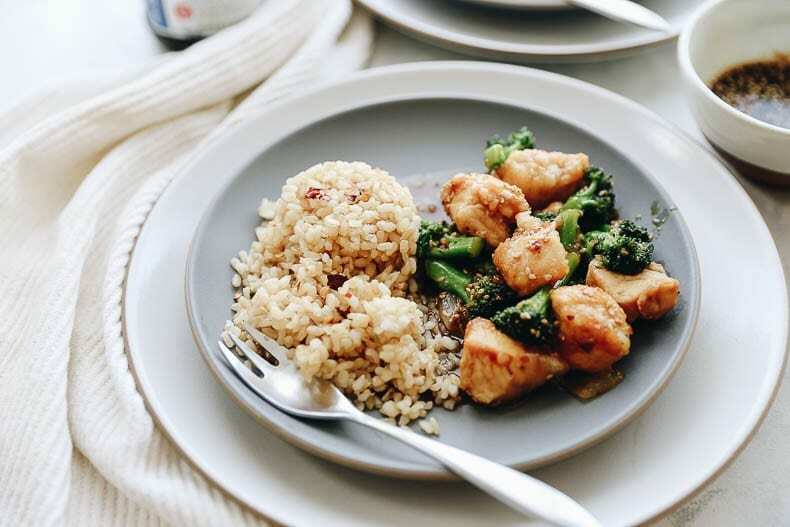 Whip up this 20-minute Teriyaki chicken recipe with steamed broccoli and brown rice for a healthy meal or weeknight dinner. Did you know that March is National Sauce Month? 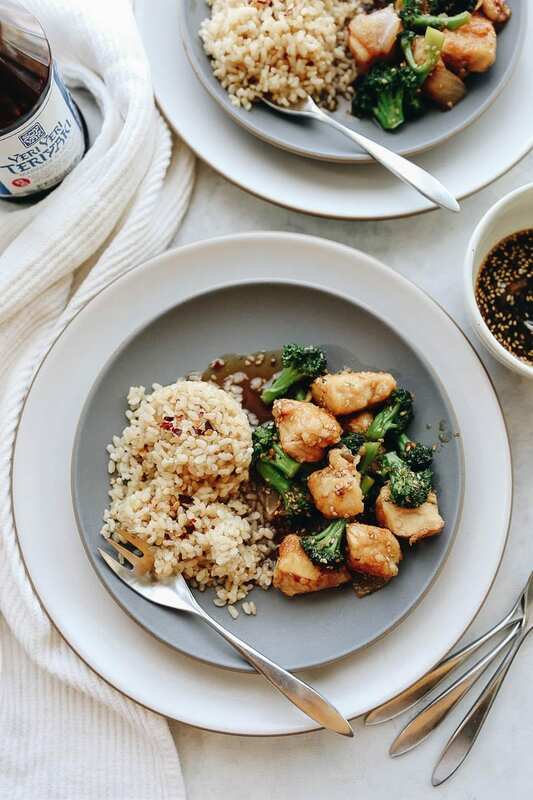 Don’t worry, neither did I But it’s true and just in the nick of time I’ve got this 20-Minute Teriyaki Chicken recipe for you to celebrate. This officially leaves you with 1 more day to whip out your party attire and get your sauce on. But in all seriousness, I really do think we need to celebrate the glory that is sauce, more often. A meal is not a meal without sauce. All the delicious ingredients can be compiled but without some added sauce goodness it’s going to be pretty bland. So when you say you love teriyaki, piri piri, curry, or even the beloved Buddha Bowl, what you’re really saying is that you love sauce. So let’s give credit where credit is due! That’s why I’m super excited to be teaming up with Soy Vay for this post to celebrate the cornerstone of every meal, SAUCE! I’m not gonna lie, I was pretty honored/excited when Soy Vay reached out. As most of you know, I’m Jewish but as many of you don’t know, the word “Maven” is actually an ode to my Jewish roots. Maven is the yiddish word for “wise person” though it’s oftentimes interpreted as “know-it-all”. I think the latter is a more accurate description of me. Yiddish is a traditional jewish language from Eastern Europe that is a fusion of German and Hebrew. Both sides of my family came from Eastern Europe and yiddish words are dropped on the reg in my family. Last week on vacation with my parents, we exclusively referred to the steam room as the “shvitz” which is the yiddish word for sweat. Needless to say, this is kind of a dream partnership for me and likely has made Mama Maven *almost* as proud as if I became a doctor…close enough! Though nowhere near my Jewish roots, this 20-minute teriyaki chicken is easy, quick and full of flavor – did I mention it’s kosher?! It’s also Kosher for Passover, which officially begins tonight so stock up! More importantly, this 20-minute teriyaki chicken makes for a delicious dinner that comes together quickly so you can spend more time brushing up on your yiddish vocabulary and make your Jewish parents proud! Add chicken to a ziploc bag and top with tapioca flour. Seal bag and shake until chicken is well-coated. Add 1 tbsp olive oil to a large pan and heat over medium-high heat. Add chicken and cook for 3-5 minutes on each side until cooked through. Chicken should brown slightly. Add remaining olive oil to pan and stir in onions. Cook on medium-high heat for 3 minutes. Add broccoli and 1 tbsp of water and place a top or cover on pan to steam broccoli for 2 minutes. Stir in chicken and top with Soy Vay Veri Veri Teriyaki sauce. Bring to a boil and then allow to simmer for 3 minutes. Serve immediately over rice or base of choice. Are you Jewish? What’s your favorite Yiddish word? 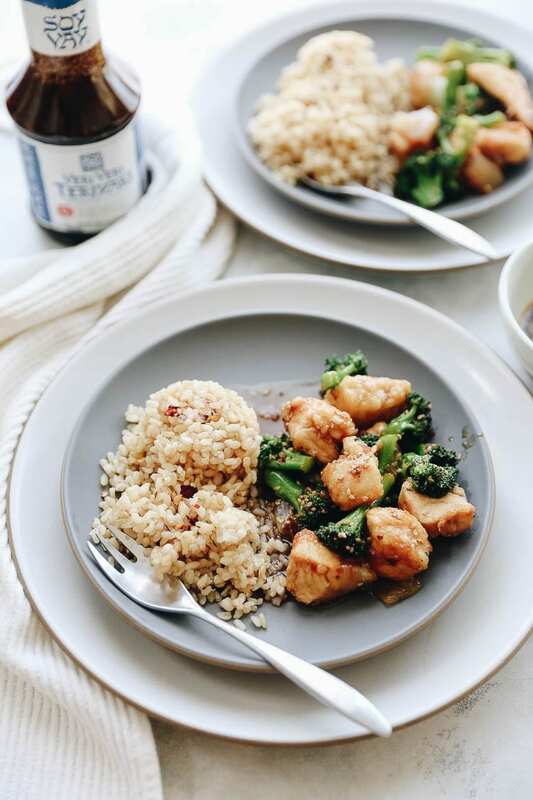 The post 20-Minute Teriyaki Chicken appeared first on The Healthy Maven.